Now aren’t you yearning for one of these? One of my favourite flavours of buttercream – light and not to claggy (I think that’s a word – you know, when it just sits in your mouth). The zesty citrus breaks through the homely toasted coconut cakes brilliantly. I was asked a couple of days ago if I would showcase a recipe I make that uses Clover. I’m a bit of a stickler for the right sort of spread in my cooking and baking. 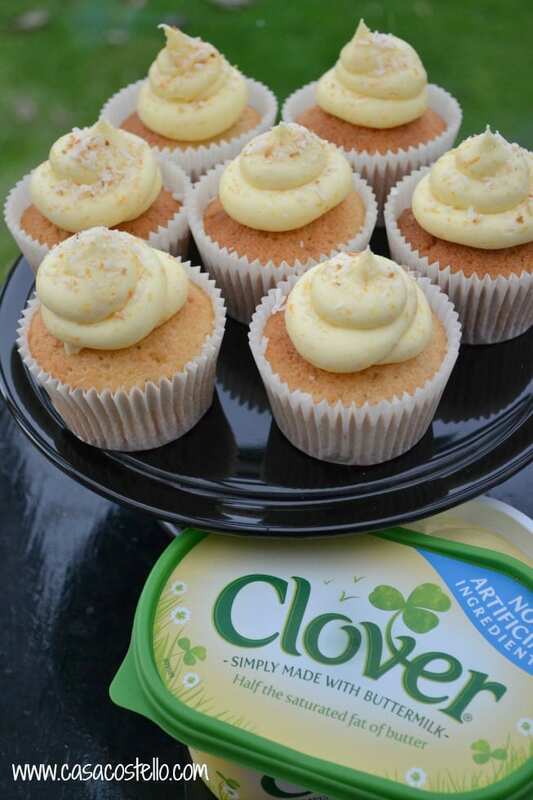 Clover has the same great taste as butter as it made with buttermilk but has half the saturated fat of butter. For me, there is no recipe that showcases the quality of a buttery taste than buttercream. Cannot stand artificial spreads that make buttercream inedible. 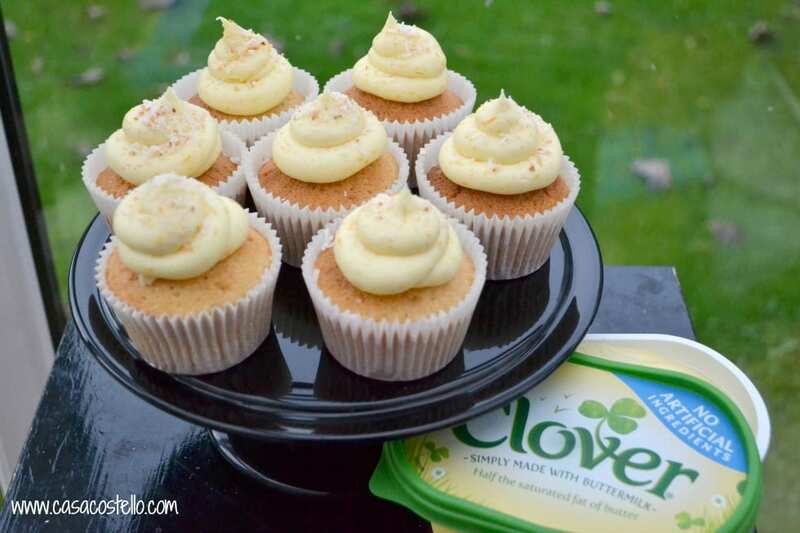 Clover contain no artificial ingredients. These cakes are fine to freeze prior to the buttercream frosting being added. 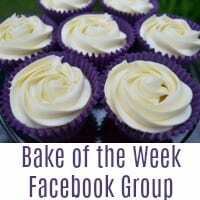 Store in an air tight container and defrost at room temperature for 2-3 hours before piping the frosting on. Toast the coconut lightly for 2-3 minutes in a dry frying pan - Keep stirring continuously and remove from the heated pan as soon as the coconut starts to turn golden. It will catch and burn really quickly if left. Keep to one side until needed. Preheat the oven to 180C and line 18 muffin tray with cupcake liners. Slowly add the egg whites and full egg, one at a time whilst still whisking. Add the vanilla extract. 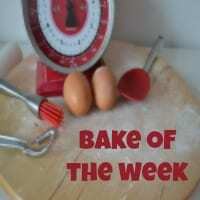 Alternate adding a tablespoon of the flour with a small drizzle of the milk until both are fully added. Keep clearing down the side of the mixing bowl to make sure it is all combined. Add in 80g of the toasted coconut and gently stir through until all mixed in. 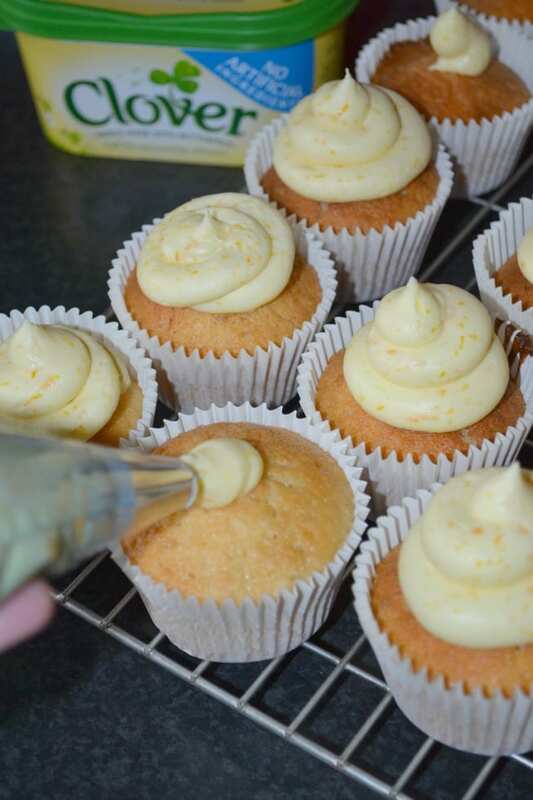 Distribute evenly in the cupcakes cases and bake for 18-20 minutes until golden. Meanwhile, mix together the remaining 100g of Clover with the icing sugar and 3 tbsp of milk - You want a sturdy, thick buttercream that will hold its shape when piped. 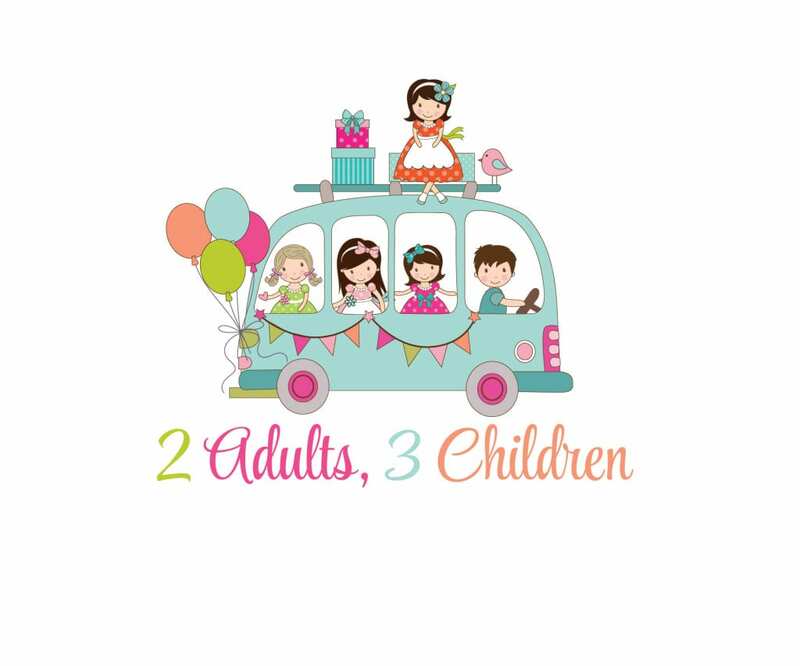 Clover are also hosting a competition over on their Facebook page to win personalised fridge magnets (with your face on) and branded oven gloves. Simply share a picture of a dish you have made using Clover to enter. These look so nice! I love both coconut and orange but wouldn’t have thought to put them together for cupcakes. And they’re less fattening with the clover. Bonus! How nice does that buttercream look, yum. I think I’d have to do a Littke Z and lick it off! Good to know about the nothing artificial in Clover – I usually ignore all these types of spreads – so I must actually check them out! 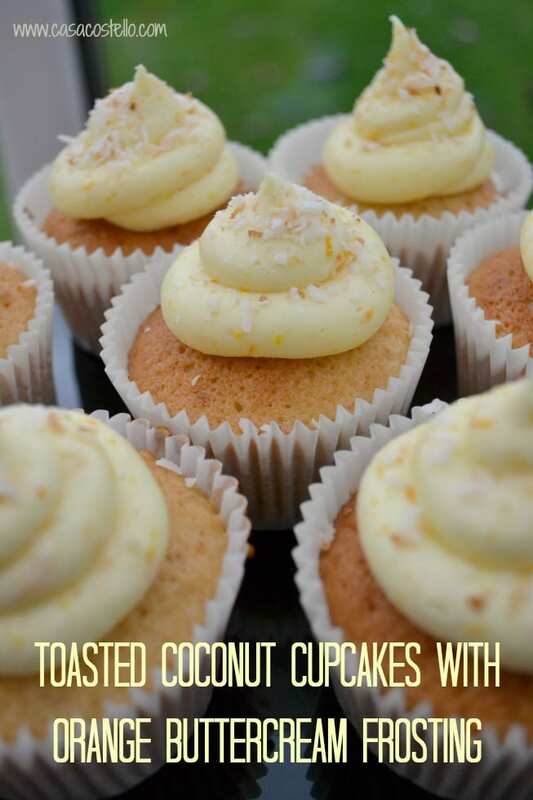 These are gorgeous – I love the flavour combination of coconut and orange – must try! 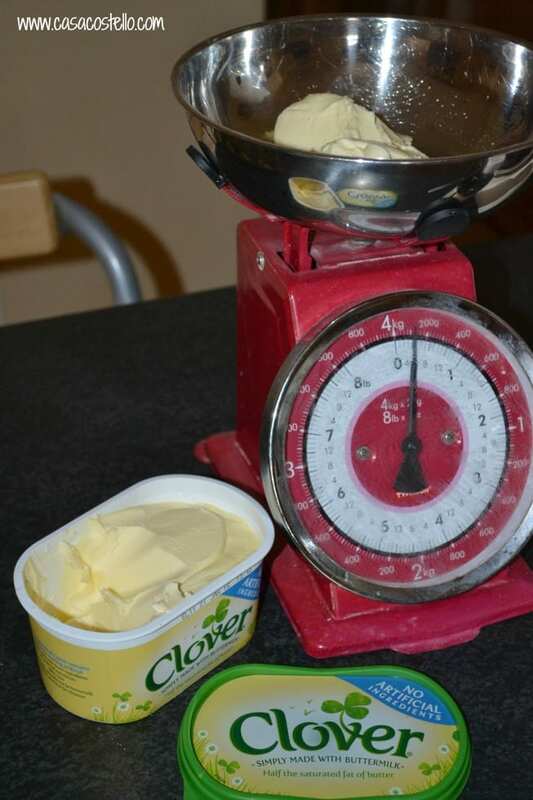 And nice to lighten the fat content of the buttercream by using Clover!